You want to start a business, why do you want to do that. Starting a business is risky, how are you going to start a business if you never started a business before. 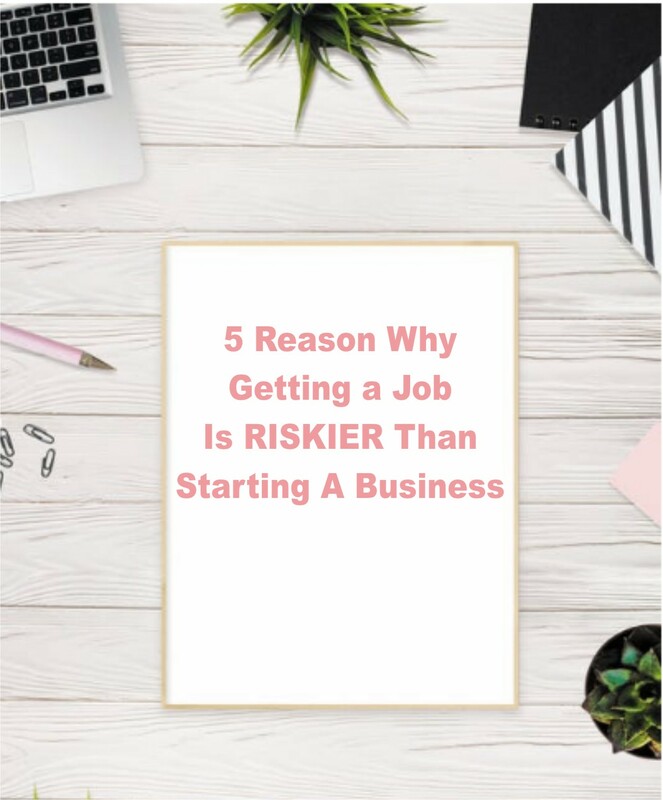 People always say that starting a business is risky, but if you look at the current state of the job market and you look at salaries and you look at the cost of living, getting a traditional job isn't that safe either. 1. Getting Hired Does Not Give You Job Security, Starting a Business Does. If we fast forward a generation or two, the world became a lot smaller with globalization and then you weren't just competing against people in your community, you're competing against people from all over the world. Guess what's going to happen to your job. Sorry, George, you are fired. Guess what's going to happen to your job. Sorry, George, you are fired again. I am no genius but that doesn't seem like a good thing, there will always be a limit to how much money you make when you get a traditional job. There's only so many hours in a day then you can exchange for a dollars. We all only have 24 hours in a day, if you spend all of your energy and focus at your job you know the maximum amount you'll be able to earn. But if you reshift your energy and focus into your business now the opportunities are endless. Right now in America, Americans are working way longer than expected because life is a lot more expensive than we thought, it was going to be and if you're not working, you're not getting paid. Starting a business is not easy, let's make sure that's clear, but now you'll be putting your energy into something and your focus into something that will give you the opportunity to have a lot more freedom later on. What if you don't fail and your business succeeds then what, I mean you don't know until you try and even if you do fail I can pretty much guarantee that you're going to learn something very useful that you can apply to something else, and if you're not willing to learn, try and work then you will fail. Starting a business is expensive. Before we get there, let's talk about the cost of getting a job, if you follow the traditional route of going to college and then getting a job, it's going to cost you, and according to collegedata.com a moderate college budget for the 2017 and 2018 school year was over $25,000, that cover your tuition, your housing, books, foods, etc. Subway, Hp, Dell, all started with $1,000 or less.